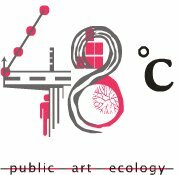 48c Public.Art.Ecology Schedule for December 16 - Tuesday! 48c Public.Art.Ecology Schedule for December 16 – Tuesday! 0930 hours: The festival goes to Sanskriti School, which has called for “Sanskriti 350” – an eco-clubs unite, called for by the school – to ensure a clean, bright future and to ensure a greater cooperation between schools and students to achieve the same. 1500 – 1600 hours: Pantomine Play by the German School at Jantar Mantar! Meet the Artists at Jantar Mantar! 1700 to 2030: Film Screening at Barakhamba Road. All the spaces invite you to check them out! Most sites are accessible by the Metro.